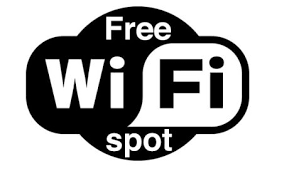 The benefits of a public WiFi hotspot are many; being able to access the internet when on the move is something that you have probably forgotten could not be done just a few years ago. Nowadays just about everybody carries either a smartphone or tablet, each of which has powerful capabilities, and we are so used to being able to log on in, say, a café, library or even a bar or shop that we take it as done. However, there is a more sinister side to public WiFi hotspots, and it is one that needs to be considered carefully. Your network at home or in the office will be protected by security measures; a public hotspot is largely unsecured. The fact the hotspot is unsecured means that it is easy for everyone to access; everyone, it should be remembered, includes those who are less than honourable in their intentions. You may bank online, or shop using a credit card, and if you do then you need this information to be kept safe and secure. On an unsecured network it is quite possible for people in the know to steal this information, and your security could be compromised. The best way to protect yourself against such actions is to use a virtual private network, or VPN; this is a service that, rather than transferring information via the dedicated server the hotspot uses, has its own servers in a range of locations that you can choose to use. Another major benefit of a VPN is that it will shield your identity; while your own network will allocate you an individual IP number which identifies you and your location, the VPN encrypts everything and will allocate you a random IP number, this keeping your true identity and location secret. Although it is not possible to promise 100% security online, this does enhance your security to a great degree. A VPN is cheap and easy to install and use, and if you’re not already using one, you really need to consider it as a serious option.